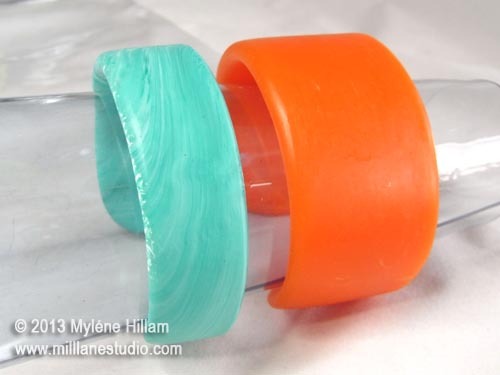 Mill Lane Studio: Wide vs Narrow - A resin disaster turns into a triumph! Wide vs Narrow - A resin disaster turns into a triumph! Sometimes when you're working with resin you miscalculate how much resin you need and don't have quite enough resin to fill your mould. Disaster! Right? Well you could mix up more resin and try to match the colour. Or top it up with a contrasting colour so it looks like it was meant to be multi coloured. Or you could do what I did with this one - work with what you've got. The thing is, you don't always have to fill your mould to the top. With simple shaped bangles like the one below, you can get away with underfilling the mould. 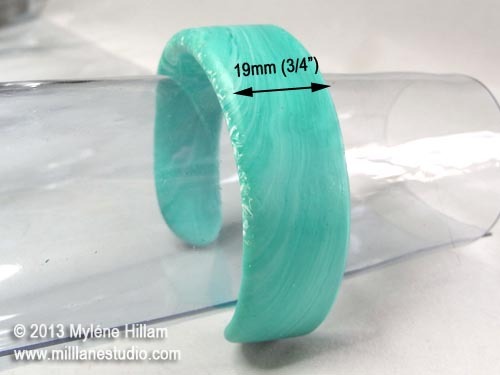 Here's a bangle cast from one of my cuff moulds. 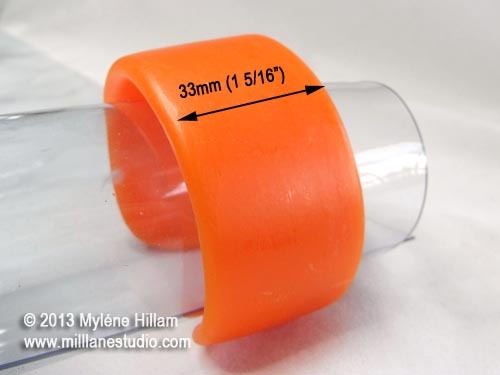 It's a substantial 33mm across the widest part of the bangle. And here's the same bangle, cast in the same mould but it measures just 19mm across the widest part! You can really see the width difference when they are side by side. So it's not always a disaster when you don't have enough resin to fill your mould. You will have some extra work to do to put the shape back into the top of the bangle but it makes your mould much more versatile!